Welcome to Happy Fish Swim Store. As we promote fun and enjoyable swimming lessons, we always encourage our students to get quality and durable swimming equipments. We understand that choosing the right equipments at the right price has been a hassle for most people hence Happy Fish Swim Store save the hassle for you by getting the equipments direct from manufacturers at a discounted price. It save you time and money! PU caps are very durable and will usually last for a long time if properly cared for. It known to be very soft and will never catch or pull your hair. 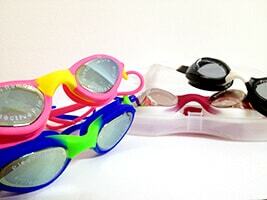 Suitable for children aged 2 to 12 years, the Heggs Goggles will give swimmers a clear vision under water. 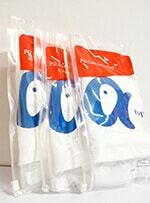 It protects swimmers’ eyes from chlorine water of the pool and the UV rays of the sun. 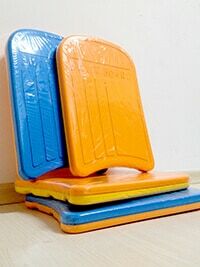 Suitable for both children and adults, the Float Board allow swimmers to use only their legs as they swim. 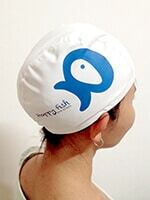 It is also useful to build swimmers’ water confidence at the beginner stage. If you are also signing up for premier class, please purchase during registration to enjoy even MORE discount!